EngineLabs just learned that CFE Racing Products has broken the 600-cubic-inch barrier for small-block Chevy engines. The Michigan-based company, which specializes in racing cylinder head development, is currently ready to ship the foundation components — cylinder block, cylinder heads and intake manifold — with the necessary dimensions to support a 600ci displacement within the somewhat traditional confines of the 58-year-old SBC platform. The project is so new that information remains limited, and only one photo is available. EngineLabs will update this story as more news is released, hopefully in the coming week. The new 600ci architecture is an extension of the current big-inch efforts that have escalated in recent years with improved billet-block design and machining techniques. Aftermarket engineers can now enlarge dimensions and map out near perfect geometries and clearances, then program that data into a CNC machine and produce perfectly aligned blocks and cylinder heads. Here’s the GM R07 cylinder block with 4.5-inch bore spacing and improved cooling dynamics. It helped pave the way for aftermarket blocks with with bore spacing stretched over the traditional 4.400-inch standard. The original customer wanted a big-inch engine based off a block with 4.5-inch bore spacing. He already had a crankshaft with a 4.900-inch stroke. Concluding that a number of markets would salivate over 600ci — which equates to 9.83 liters — CFE moved forward on designing a block with 4.6-inch bore centers and expanding its famed SBX cylinder head to support the wider cylinder locations. The block, which can ordered with or without water jackets, sports a 4.400-inch bore. When combined with a 4.900-inch-stroke crankshaft, the resulting displacement is 596ci, but it’s possible to poke out the cylinders to 4.500 inches. Hot rodders have been trying to hog out the small-block Chevy since the ‘70s when they were squeezing 4.0-inch stroker cranks into a stock 400 block to get 434ci. The problem, of course, was rod clearance against the cylinders and camshaft. The aftermarket addressed these issues with newer blocks that raised the cam and provided side clearance. Displacements continued to creep up, but the next milestone came in 1994 when Sonny Leonard built the first 500ci small block. 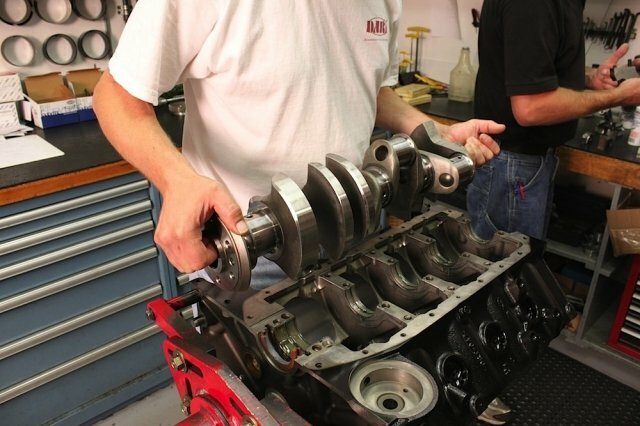 Hot rodders have always tried to boost displacement with stroker cranks in the small-block Chevy, but kept running into interference with the rails and camshaft. 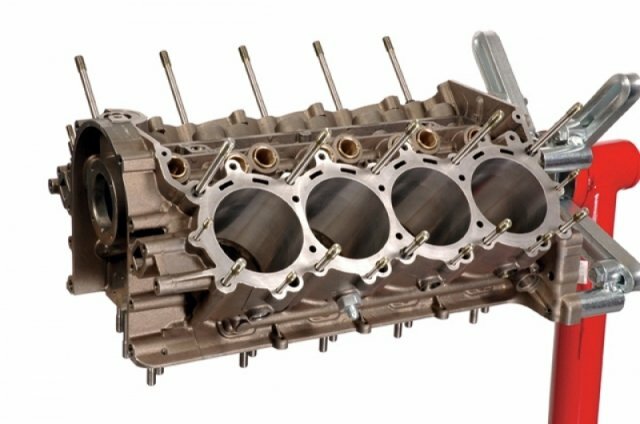 Blocks stretched out for 4.5-inch bore centers became the norm for big-cube small-blocks when NASCAR approved Chevy’s R07 race engine, which replaced the venerable SB2 engine. For the current generation of 358ci engines, NASCAR allows 4.5-inch bore centers but restricts the maximum bore to 4.185. The extra distance between cylinders give engineers more room to circulate coolant — in other words, no need for siamese cylinders and more durability. “People don’t realize the SB2 head was developed into a 4.5-inch platform (called the R03 head) but abandoned in favor of the R07,” says Gadette. 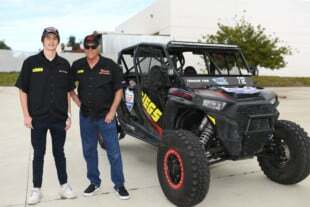 The stock deck height on a Chevy small-block is 9.025 inches, but the aftermarket has taken its blocks up to 9.500 inches — with some specialty billet applications going as tall as 10.2 inches. The CFE block is set at 10.0 inches. Here’s the 400ci Chevy from the ’70s. It was the best factory option to go big, but the largest displacement realistically possible was 434ci. The CFE block retains the standard Chevy bellhousing pattern and 4-bolt steel main caps (stock 400 journal size); plus the familiar horse-collar timing-cover boss/water jacket holes on the front appears similar to the standard small-block. Other features following tradition include standard Chevy engine-mount locations, available distributor accommodation and oil-pan rail dimensions similar to the famed Rocket block, which was an Oldsmobile version of the SBC used in drag racing and provided wider oil pans for stroker clearance and also a raised cam location. “You can even bolt a regular Chevy water pump to this block,” says Gadette. Outside of the familiar Chevy cues, the CFE block will have .937 lifter bores and will not offer a provision for a mechanical fuel pump. The cam location is “standard big-block plus .400,” and the block will support 55mm roller-cam bearings and 60mm babbit. CFE stretched out a version of its SBX head, which was developed for the Chevy Pro Stock trucks in the ‘90s, to fit the 4.6 bore centers — a move that opens up considerable airflow possibilities. The 600ci SBX head will hold a 2.300/1.900 combination, which was certainly unheard of just a few years ago. Think about it, a standard 454 big-block Chevy has 2.19/1.88 valves, and the popular Victor Jr. BBC head comes with 2.25/1.90 valves. Here’s the SBX head from CFE that was modified to fit the 4.600-inch bore centers on the new block. CFE will not sell the 600ci components to the general public. A select group of builders has been approved to distribute the engine. 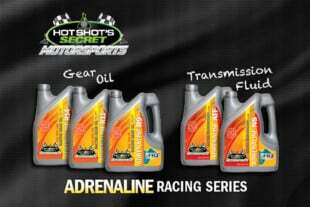 They will get only the block, heads and dedicated intake manifold, which can support a variety of carb and fuel-injection setups. The builders then work with their favorite suppliers for the rotating assembly, wet- or dry-sump oiling, induction and accessories.